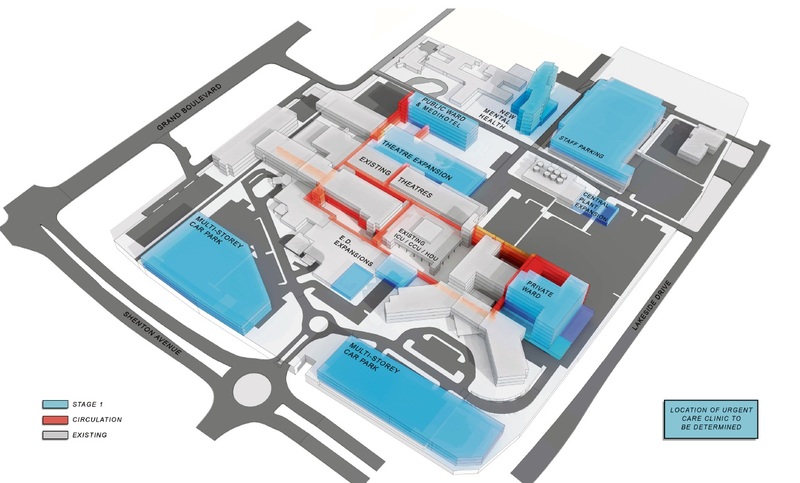 An early map of the proposed hospital upgrade. THE State Government has denied accusations by the Opposition that it has not “formally committed” any funds towards its election promise of a $167 million upgrade to Joondalup Health Campus. Health Minister Roger Cook last month announced the co-signing of a statement of intent with hospital operator Ramsay Health to honour the commitment. Opposition Health spokesman Bill Marmion was sceptical. “The Government’s latest media statement on the Joondalup Health Campus extension is nothing more than a political hold statement to make the people of the northern suburbs think the Government is doing something, when in reality no funds have been formally committed to this election promise,” he said. Mr Cook rejected the claim, saying the State would fund the redevelopment in the current term of government. “Given the state the Opposition left WA’s finances in, it’s no wonder they don’t understand funding,” he said. An estimated start time for construction is not yet known. A North Metropolitan Health Service spokesman explained early work had begun on aspects of project planning, such as clinical service and capital planning. “Once finalised and approved by the State Government, announcements will be made clarifying the timeframes for the delivery of this investment,” he said. The upgrade is to add 90 public beds and 25 to 30 mental health beds. The hospital currently has 467 public beds and 47 mental health beds. Other plans include an urgent-care clinic, which Labor hopes will ease pressure on the emergency department, and a Medihotel, which the Government claims will free up hospital beds. Extra parking, new operating theatres and a stroke unit are also forecast.